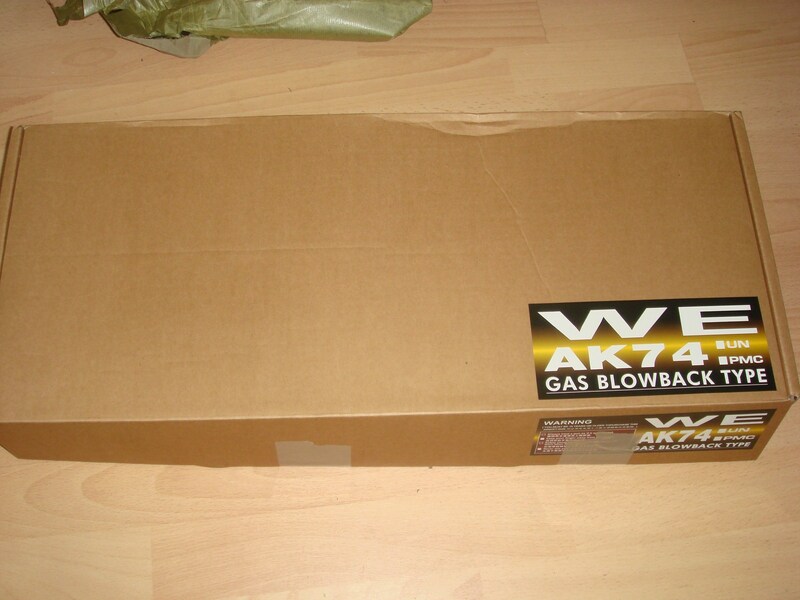 My WE AKS-74UN arrived today and here is my first impressions/short review. 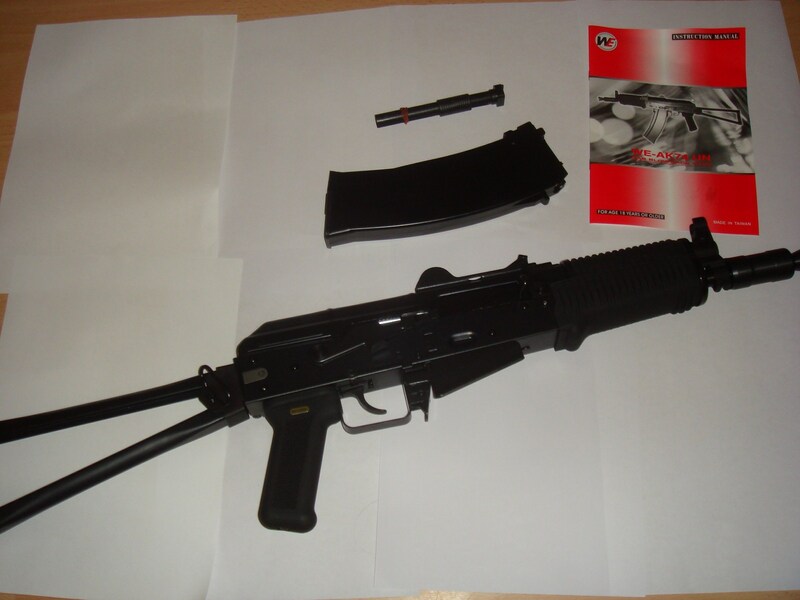 Im not so good with reviews so forgive me if I jump randomly from part to part of the AK. Comes in standard WE box, nothing special to see here. No idea if the extra packaging inside was done be WE or the retailer but it was nice to have. Only 'damage' I saw was some very tiny marks to the flash hider, couldn't capture them on camera plus its more nitpicking. 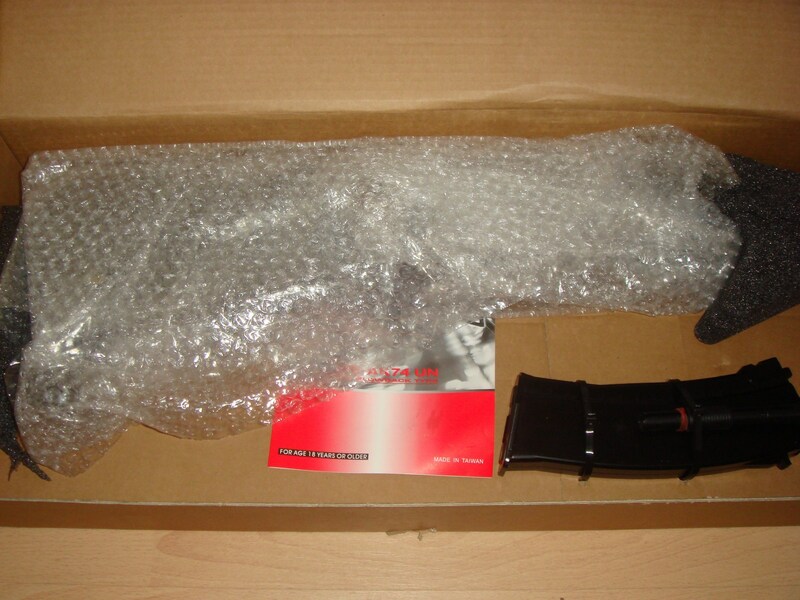 What comes in the box is the AK itself, loader, manual and a mag. First thought when picking it up was how solidly built it felt. The bolt ever so slightly moves when shaken and of course the sling swivel on the stock but otherwise there is no other movement or rattle in the gun. The front grip has no movement and have a nice feel, if somewhat uncomfortable on bare hands, the pistol grip is the same material and again slightly uncomfortable on bare hands due to the knurling which is quite deep. The stock when locked and unfolded does not move whatsoever. 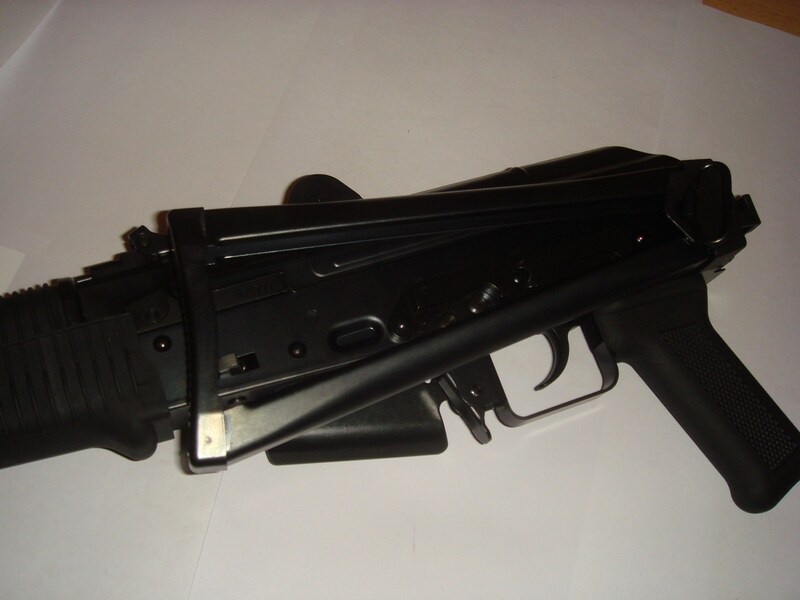 The AK is reassuringly heavy, balance point is roughly the middle of the magwell. The steel body is nicely finished, I /think/ it is slightly blued. The top cover is also spring loaded which is nice (no idea if this is a standard thing). The sight mount is a black colour compared to the body, not sure if this is a different metal or just a different finish. Only gripe is the selector plate doesn't really 'click' into place as much as I would like, although the grooves are deep enough for it to click in and not move under recoil it just feels a little puny, would have preferred a little more resistence. Also (really nitpicking) the magazine when inserted has a /small/ amount of side to side play. Half the bolt is potmetal, the other half (gas rod?) 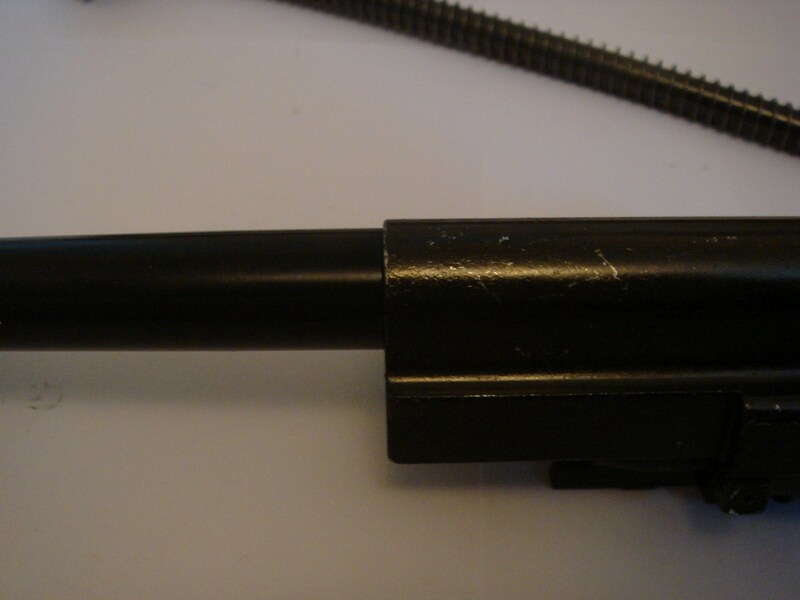 is another unknown metal but is far better finished than the main part of the bolt. The bolt marks VERY easily however the flash from my camera makes it look far worse than it actually is. The hop is much like the G39 with the half moon dial, very stiff to move which is welcome. Still using the standard VSR bucking. The hop also needs to be adjusted a fair way before it will hold a BB. 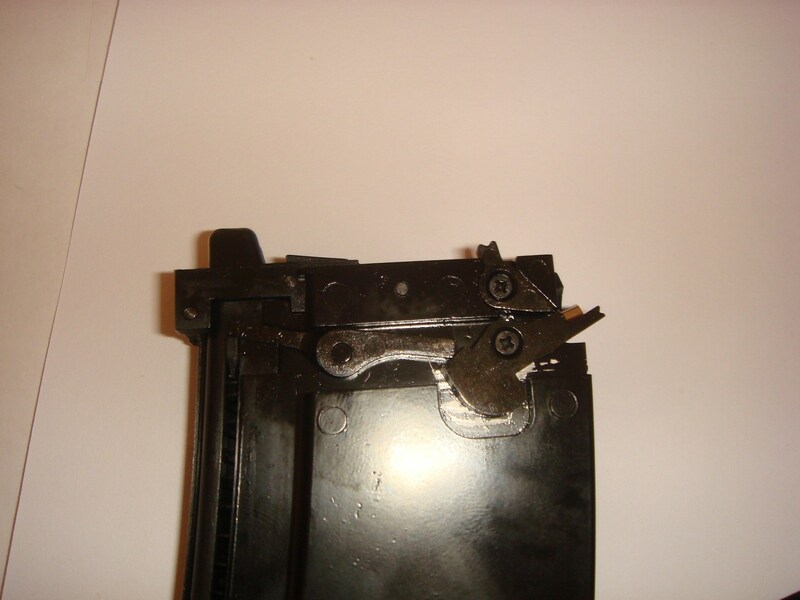 The spring guide holder (I dont know the same) is potmetal which to me looks like a weak point. 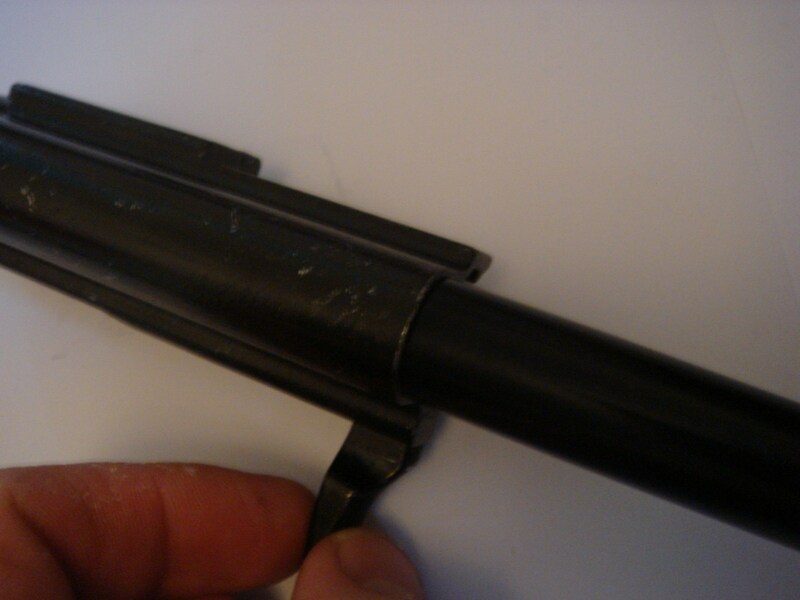 It also contains a metal rod which is spring loaded and presumably acts like a dampener. It will be interesting to see how this part stands the test of time. The trigger group looks semi-realistic (I dont know) and is of unique design to the AK. I did not wish to disassemble it however to see. Little more on this later. The mag feels suspiciously light (scales are broke sorry) compared to my G39 mags.. 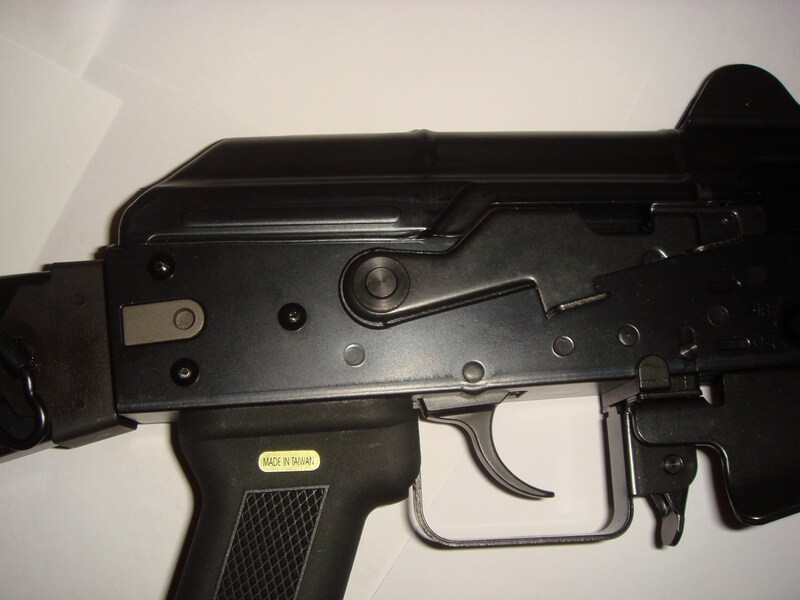 The internal design is the same as the G39 so it hold gas with no problems and appears to fire in the cold fairly well. I only have the one mag and kept filling it over about 5-6 times and it still fired happily on the last mag, although it did start showing some vapour. The shell fully plastic, including both latches which is concerning. Although the plastic feels fairly solid, I am unsure on their longevity through heavy use. 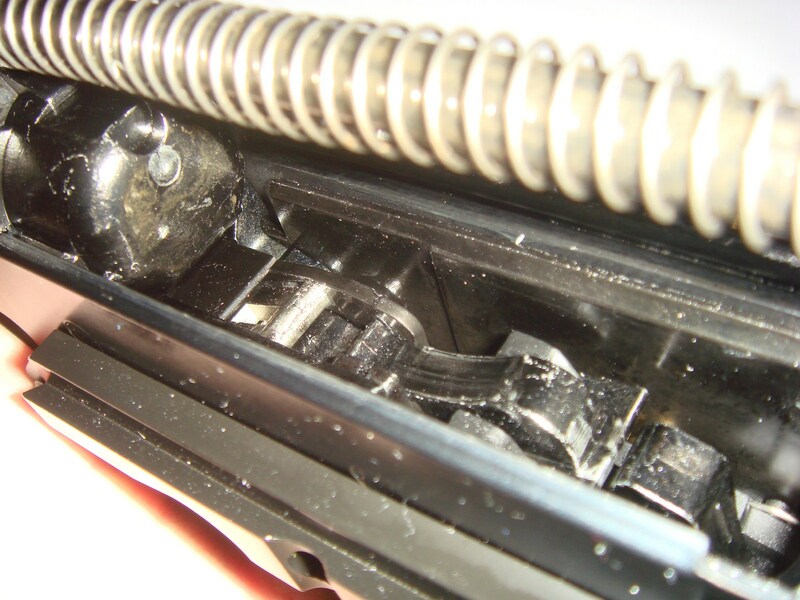 It is secure by the standard WE method of a single screw on the bottom of the mag. 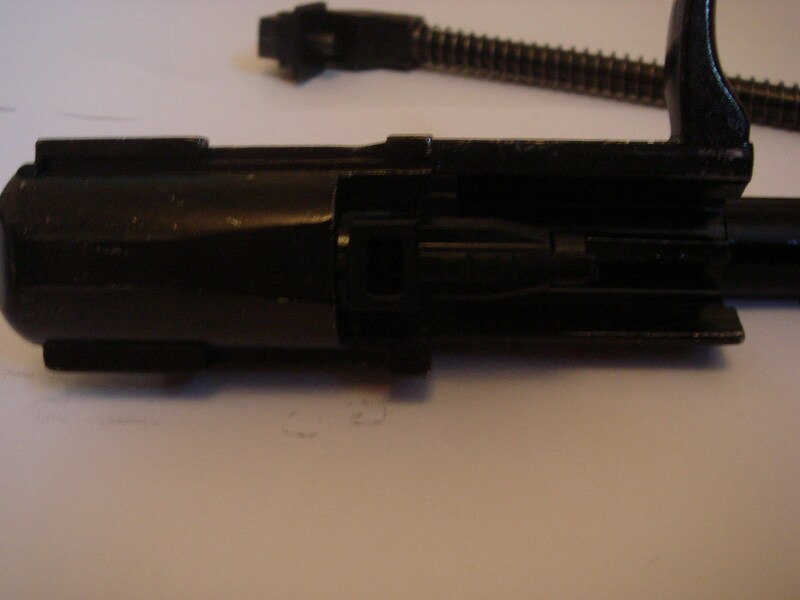 The firing pin stops works quite simply. With the latch on the top pointed towards the back you can dry fire. 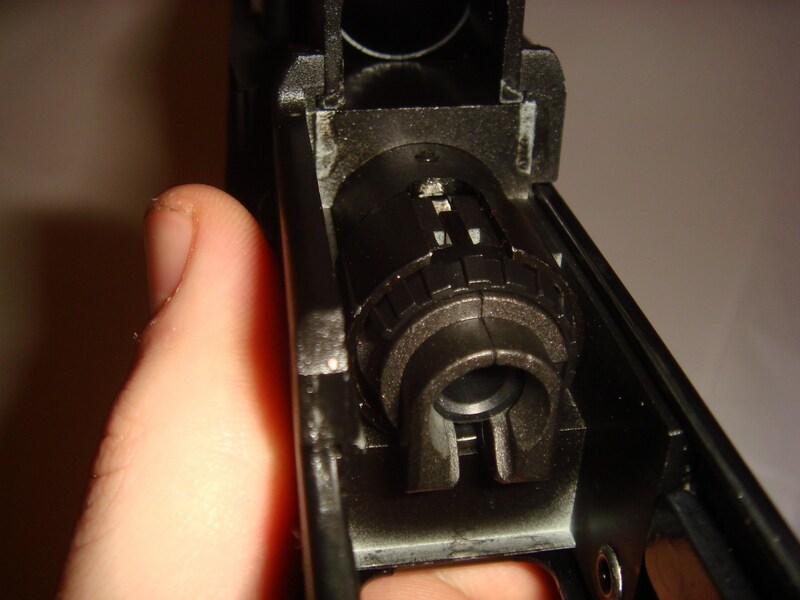 With the latch pointed towards the front the AK will stop firing after the last round, it does this by the latch next to the valve pushing up a lever in the AK which in turn pushes the firing pin up and out of the way. Giving a lovely dead mans click. 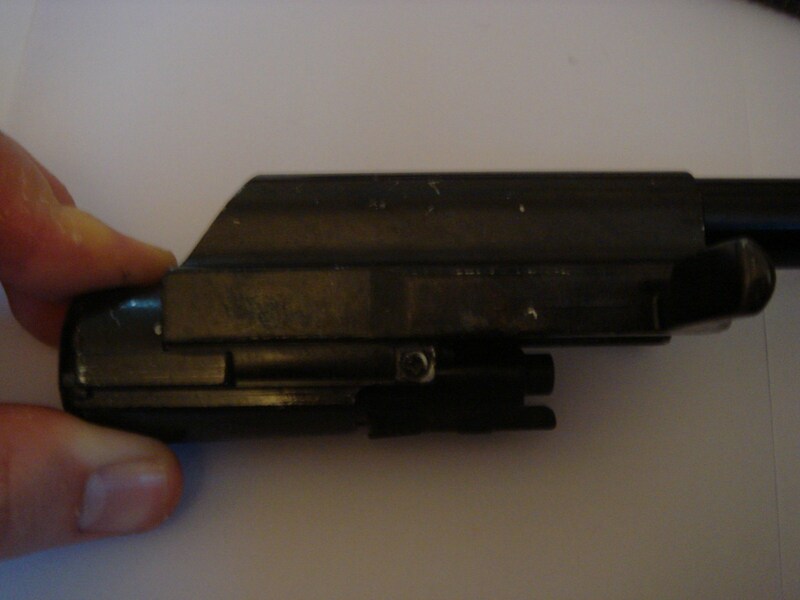 One bad point however, you MUST push the latch by the valve back down when you re-fill your mags, it will NOT go back down on its own. Unfortunate. Lubing the latch may change this but I wouldn't count on it. The AK really is a pleasure to fire. Has a hard kick (harder than my G39) and a LOVELY clack as it returns to battery. Semi-auto still rules the roost for GBBR's IMHO and it works very well in semi and appears to have better efficiency. (Emptying a mag in semi is no problem). Full auto has a quite slow ROF and lesser efficiency but you should have no problems finishing a mag in bursts. Overall the AK is quite a gas hog however, the mags hold a lot of gas and the bolt has a lot of travel to cover. Im not sure how many shots to a mag in semi you can get (will test another time). Stock up on propane. One other thing to note s that the trigger feels slightly sloppy. There is 3-4mm of movement before the trigger actually errr.... triggers anything? Not a big deal IMO as it is still MUCH less than that of an AEG. I think that is the bulk of things for now. I will not be at another skirmish for a week or two so cannot say on accuracy or range (RA-Tech just released a video though). Last couple of things to note is that the AK came well lubed! The oil/grease was very light but well spread on the bolt and a bit over-lubed on the sling swivel. 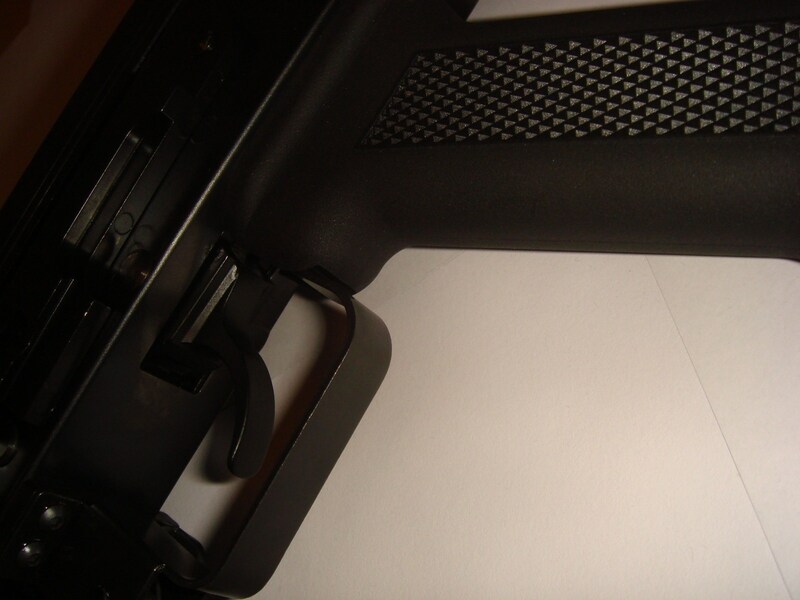 Also, the mag guide is annoying if you are left handed or tend to switch your weapons to your left, it just gets in the way but is easily removable with 2 screws. Finally, sorry the pictures are a bit pants but my camera aint great and nor are the few light sources I have. Hope this helps other people buying decisions. Awesome! Live up to your expectations then? 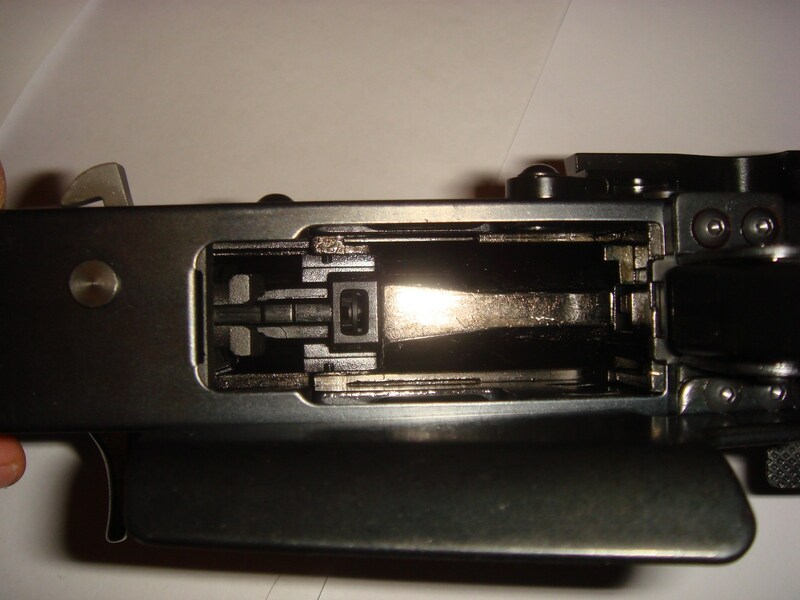 Just to confirm, what happens if you select full auto and clamp the trigger down for the whole mag? 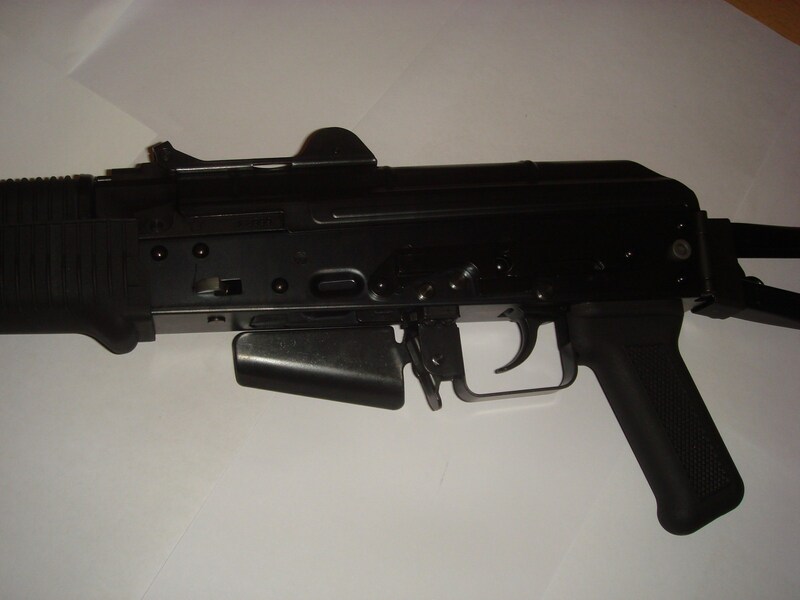 Live up to them and more, thus far this is easily the highest quality WE GBBR I have handled. However, wont know for sure till I skirmish it. Im not so sure about a full mag but I dry fired it for /roughly/ 20-25 shots and it seemed to cope fine with some slowdown towards the end. Too late to try this now. 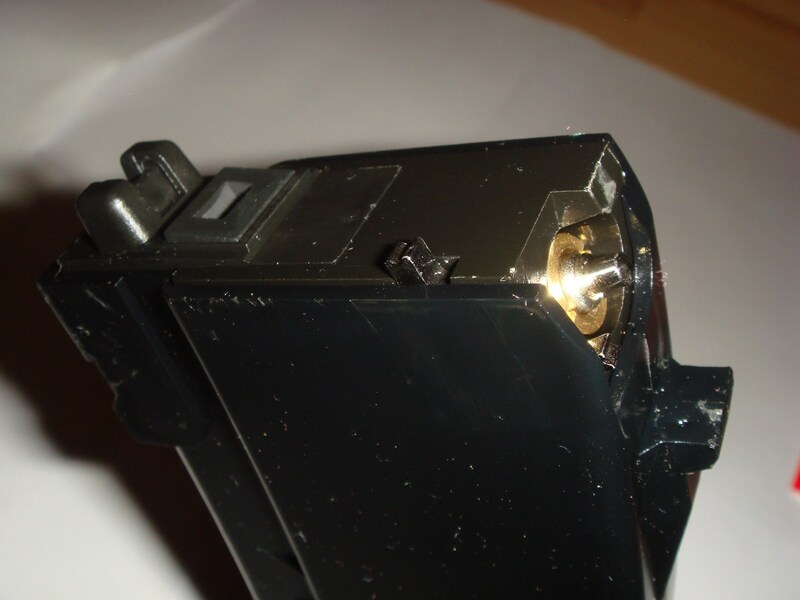 Theres no excuse to leave such a flaw in the design of the mag, especially when they cost so much and a broken lug will make them useless.. 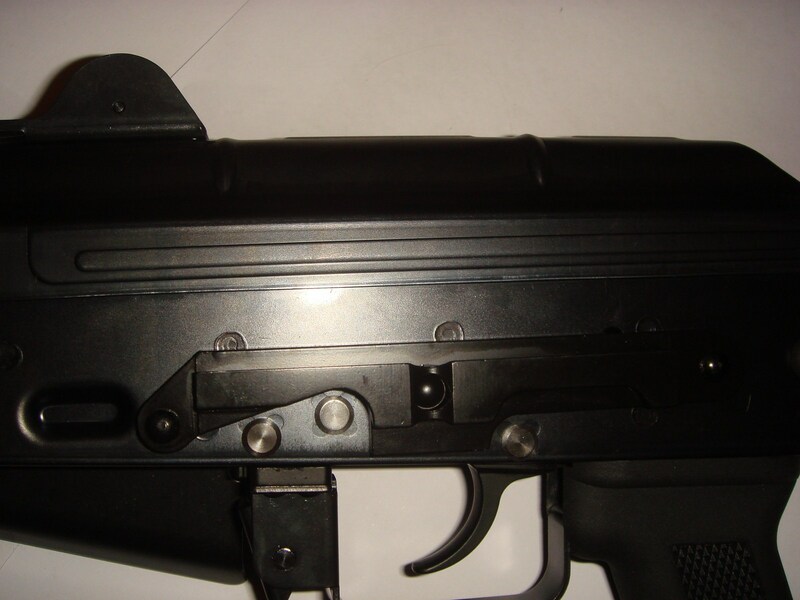 I can see it in $10 AEG mags, but, damn, I would get a little mad if I snapped a lug on a $40 GBBR mag. Good first impression sir. What other WE rifles have you handled that you can compare to ? The user just finished one can of (propane)gas... recoil lowered immediately, full-auto became sluggish. Five out of his ten mags failed to stop the gun from firing without bb. Here, WE will first apologize to any customer who suffered these issues with their WE products. 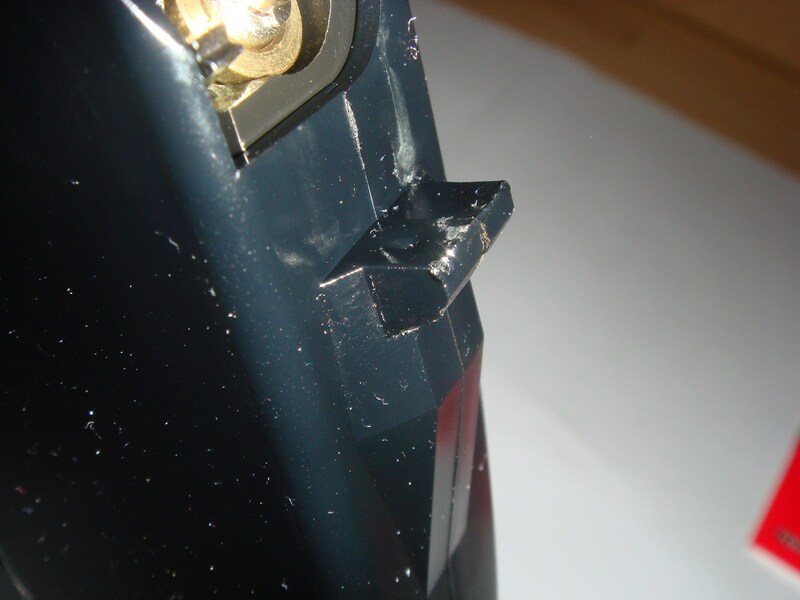 Our company will take responsibility for ALL repairs to these parts. 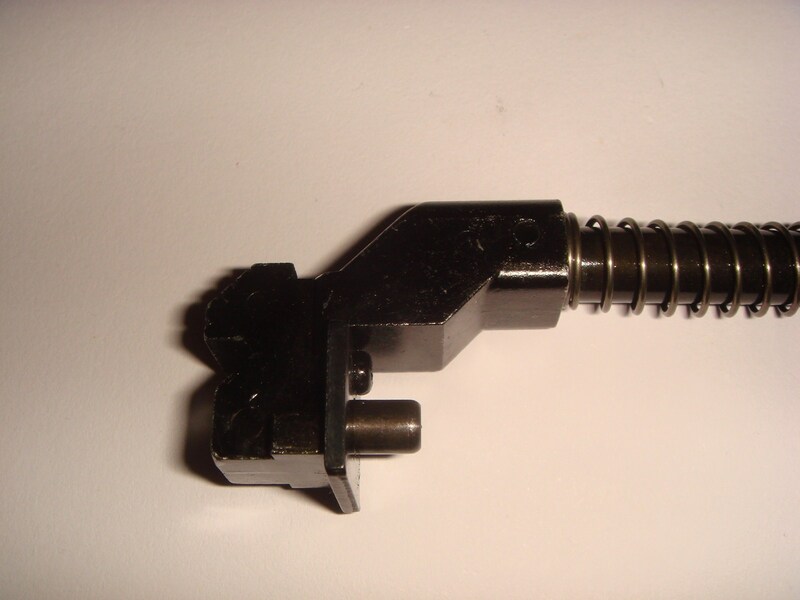 Any customer who have this part broken, please go to the original retailer for free replacement part installation. ""WE will strengthen this part in a short time""
Our company will definitely take responsibility for ALL product repairs. And we hope Taiwan's players keep support WE to develop more types of models and with even more economical price to repay our customers. We are sorry for this, thanks for everyone's support. At least WE treat their "beta testers" nicely with free replacement services. Good luck. Now I am going to watch how much WE's version 1.1 will be improved as well as how RA is going to release steel parts. My niece just got this and she has run it really hard the last few days. She emptied exactly 42 magazines (4 mags x 10 reloads each and 2 more plinking) worth of BBs so far. She had a blast with it playing in the rain with her male cousins and it was a big hit with them. They are notorious high price AS snobs, but this gun made them take notice. Pretty solid overall, but as adadqgg has stated, the parts that are potmetal or some of the scariest on the gun and concern me. 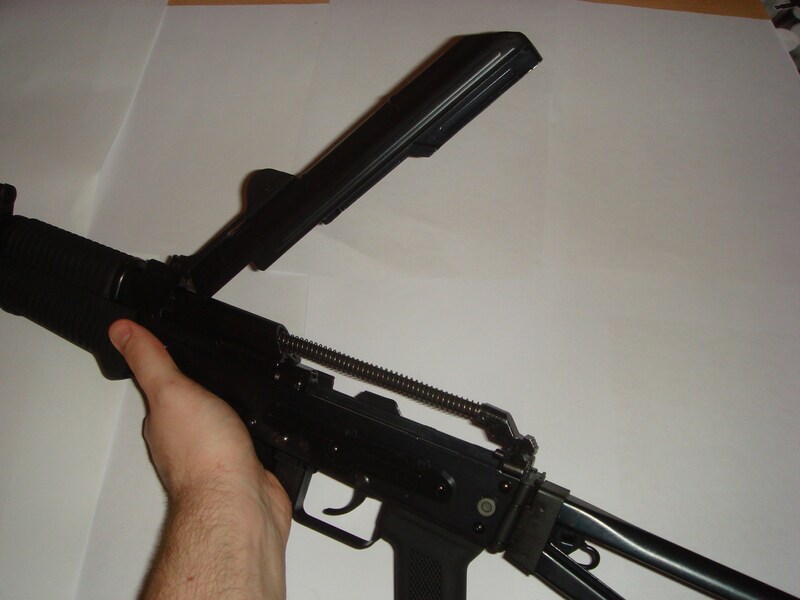 Right now the biggest issues are that the gun still likes to fire a lot when empty (It did well for a while, but now none of the mags ever engage the stop function) and that occasionally it will gas out (meaning release all the remaining gas...even if there is a LOT of gas left) if the magazine is rocked/bumped too hard. 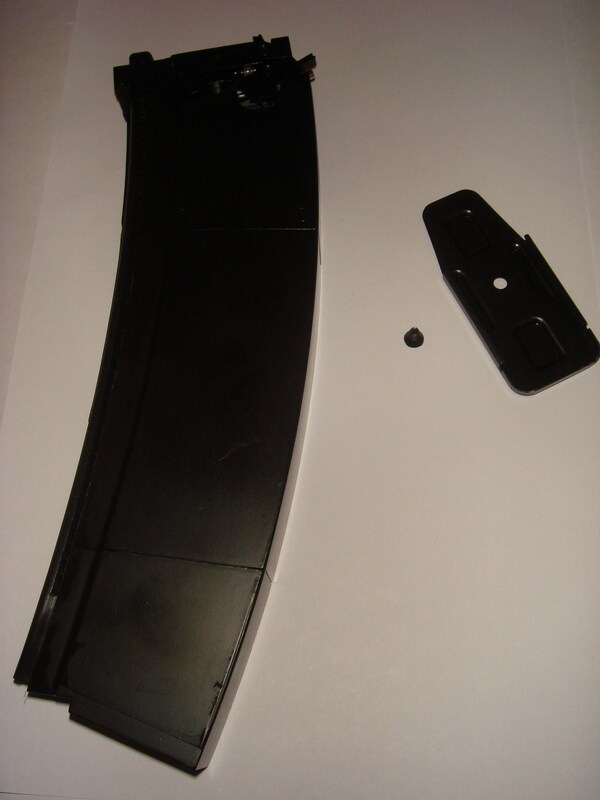 The magazines having plastic lug catches are also not looking great. Just 2 times playing and some pliking any the front of the magazines are pretty eaten up. WHY, OH WHY, ARE THESE PLASTIC?!? 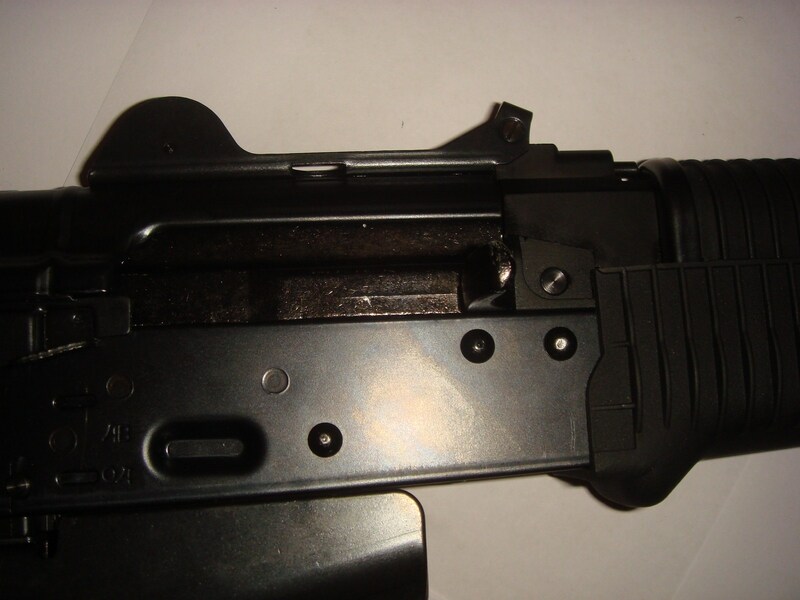 I mean seriously...this is a high wear point on real steel AKs...what makes airsoft makers think that it would be otherwise for a plastic mag? The mags have a pretty noticeable wobble. So a lot of issues with the magazines. 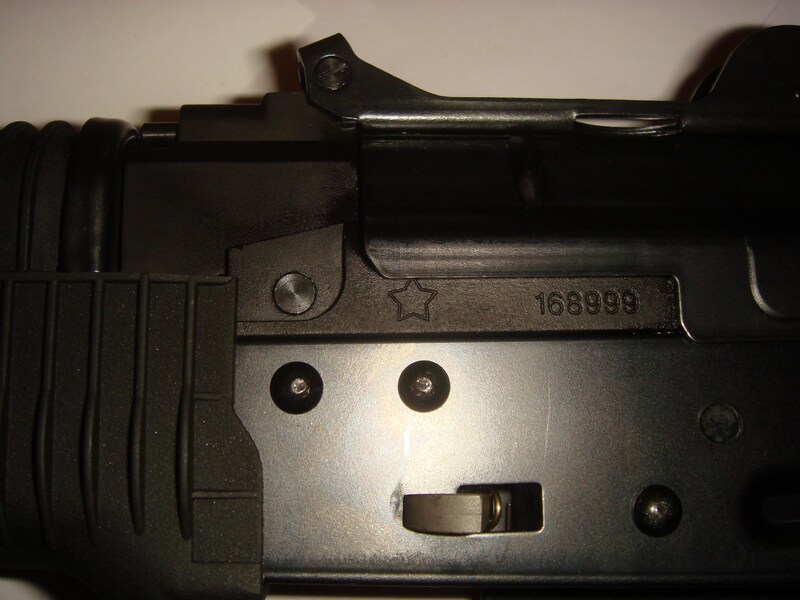 On top of that the rear sight will not hold its' true. I mean a bump seems to unset it. I put a dot of hot glue on there for now and will sort a better solution soon for her. She is pretty bummed by that since there is not easy way to take another optic and drop it on there for aiming. The other thing that is bothering me is that her bolt is losing paint super rapidly on the cocking lever/handle and all over the place. It is wearing really oddly on the inside too...like it is dragging against the dust cover or something. She likes it, but it needs some work. I fitted a black Hogue grip on there with no fuss, so RS parts work with it. She has ordered an Ultimak rail for it so we will see how that works out. Good first impressions guys. Unfortunatly I guess I will sit back and await more feedback and fixes before I dive in and get one. 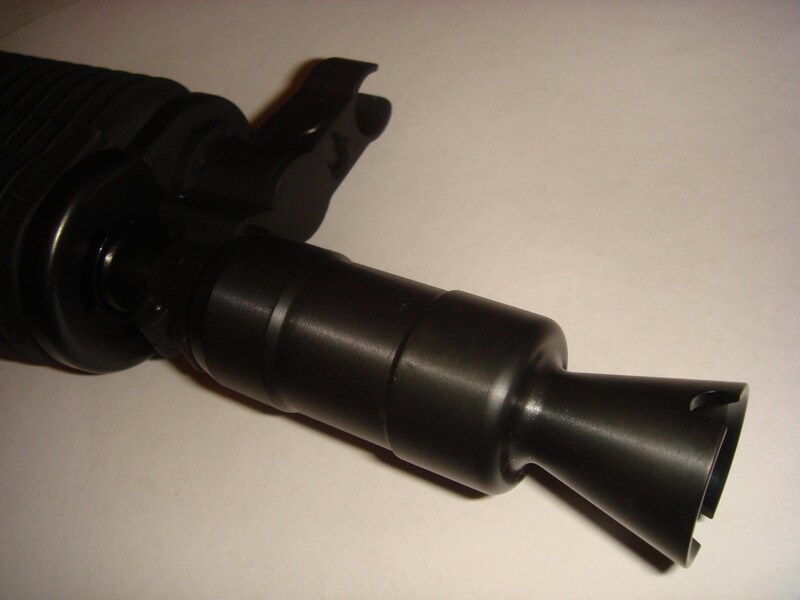 Might want to get a cheap one to try first, but if real steel dust covers fit a TWS dogleg rail might be a good way to get an optic on there. 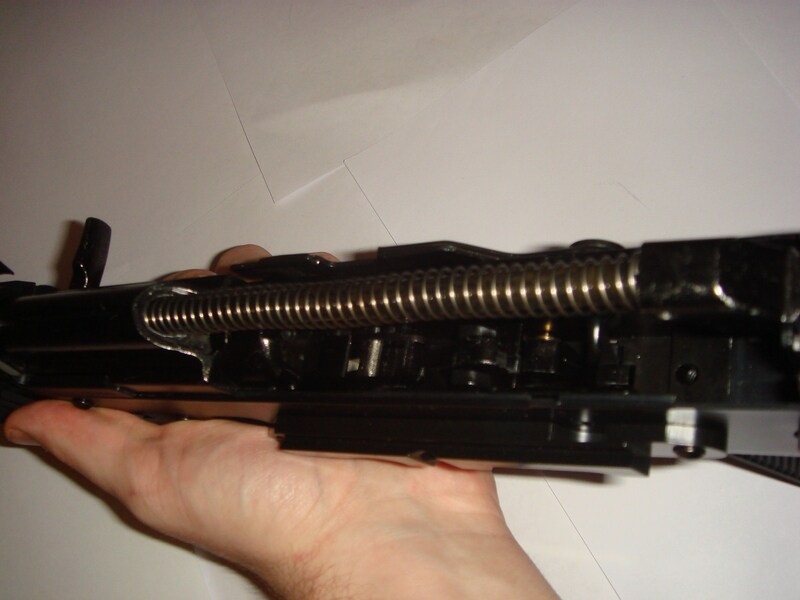 EDIT: Disregard, I forgot that the recoil spring housing probably won't work with the TWS rail. 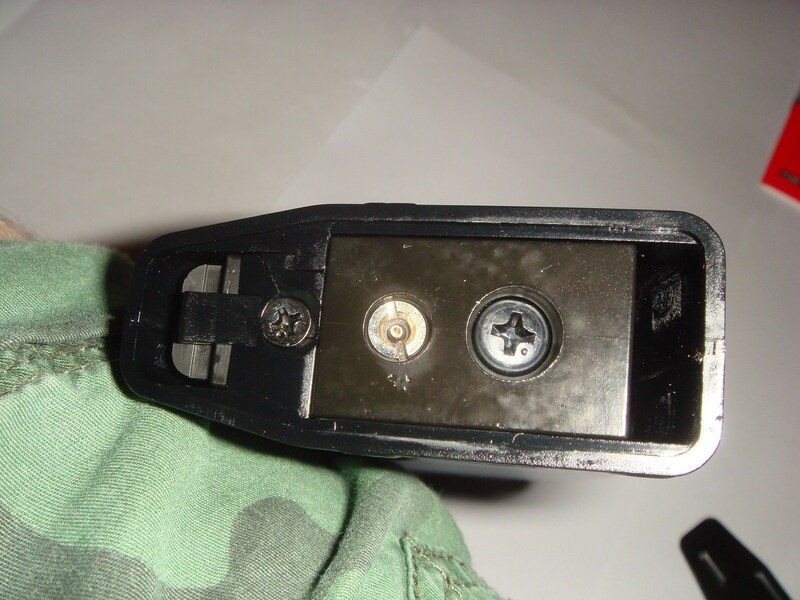 Have you tried removing the mag latches (that activate the pin stop) and lubing them? Seems off they would stop as its not a high wear area. Otherwise problem would be within the trigger somewhere. 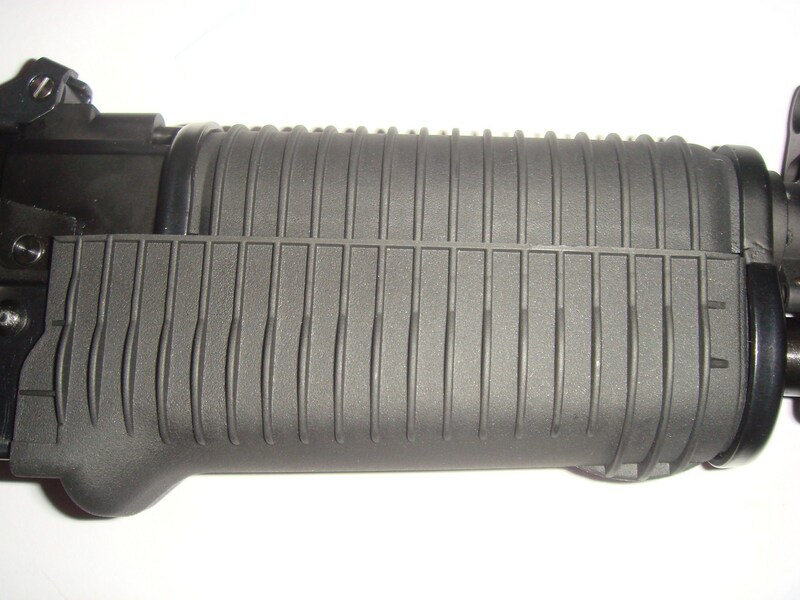 Kinda hoping for aftermarket mag shells. Interesting little bit of info. According to an Evike video on the AK WE are releasing other lower power nozzles. Now I'm convinced, RA-Tech pays WE to use monkey metal on certain parts. There is just no reason not to add an extra $25 dollars to the price of the gun and do it right the first time. I recall the original video post by WE (since edited) specified that steel parts would be used throughout the trigger group. Looking forward to more input from the beta testers. Just waiting for this to come into my local shop... First GBBR that I've seen and really want! I recall the original video post by WE (since edited) specified that steel parts would be used throughout the trigger group. It was me in fact that asked the question on Youtube. The answer left no doubt about the internals being steel. That firing pin certainly isn't. Little bit of additional info, Redwolf claims the mag holds 50 rounds which seems odd for WE. They are advertised for the usual 30 + 2 rounds. Tested one of mine and sure enough 49 BB's loaded into the mag. This potentially may be the cause of Pariah's neice's problem, constant overloading causing the spring to weaken and not push the pin stop up? Recoil kit that decreases bolt travel by 1cm and puts the rate of fire at realsteel level, without decreasing the force of recoil. 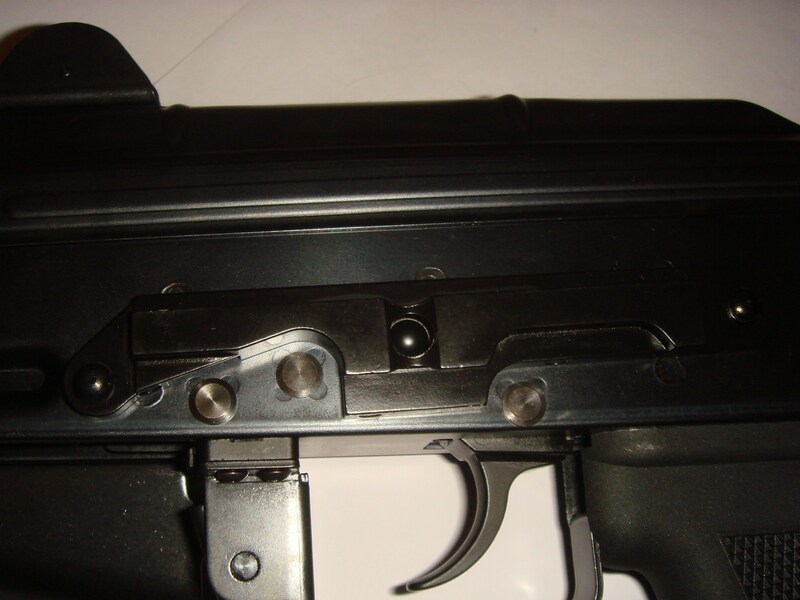 fixed by placing two staples under the top cover as pictured to push the top cover up(and thus making the recoil rod tilt down a little). 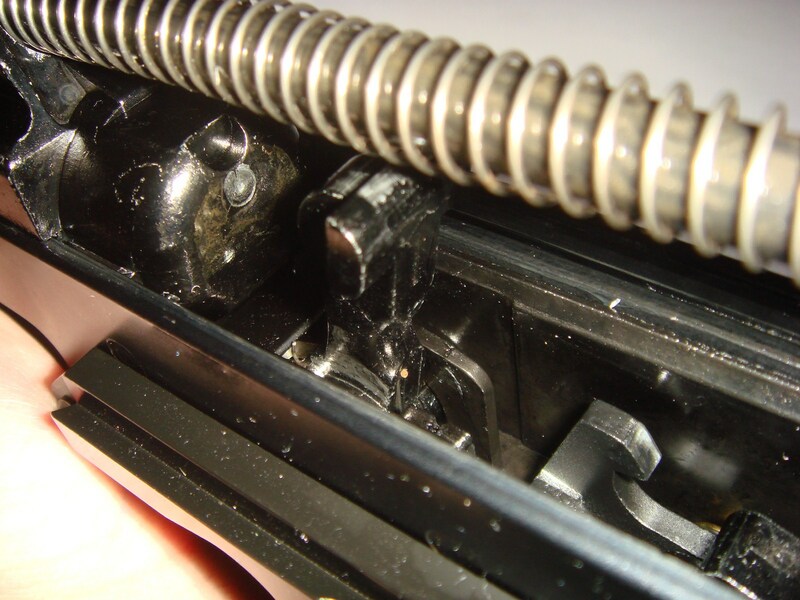 It seems that placing a small spacer to tighten the spring would work. 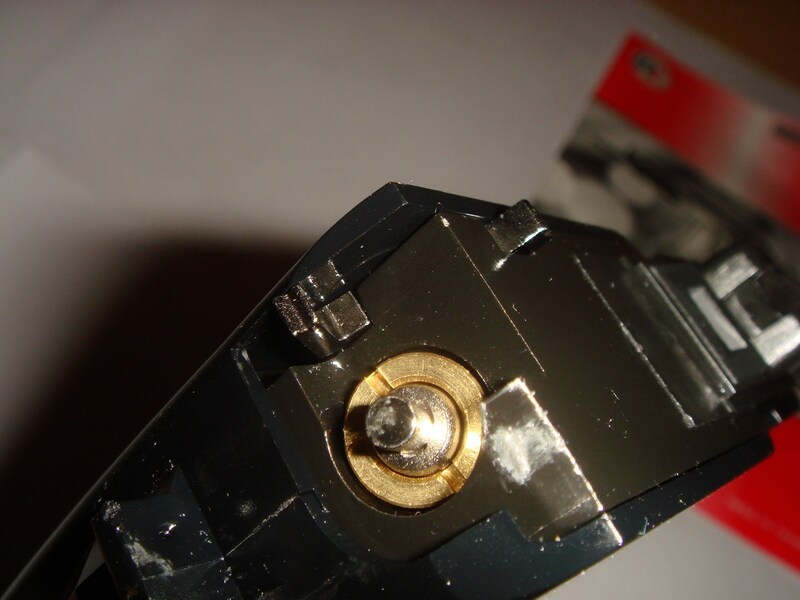 The bolt would travel less space backward and return faster and crispier. That recoil kit looks ace, who makes it?